Parking on the street as well as a pay-lot next to the restaurant and across the street. Anson has been a long time favorite. Parking is convenient with a lot next to the restaurant. The overall temperature of the food from the kitchen was not as hot as could have been. The overall meal plus dessert were excellent. Second time eating at Anson. Lovely experience both times. Can't go wrong with the crispy flounder and fried green tomato appetizer. My dining company had the soft-shelled crabs, which were terrific. A bit expensive for what you get, but a very nice choice in Charleston. 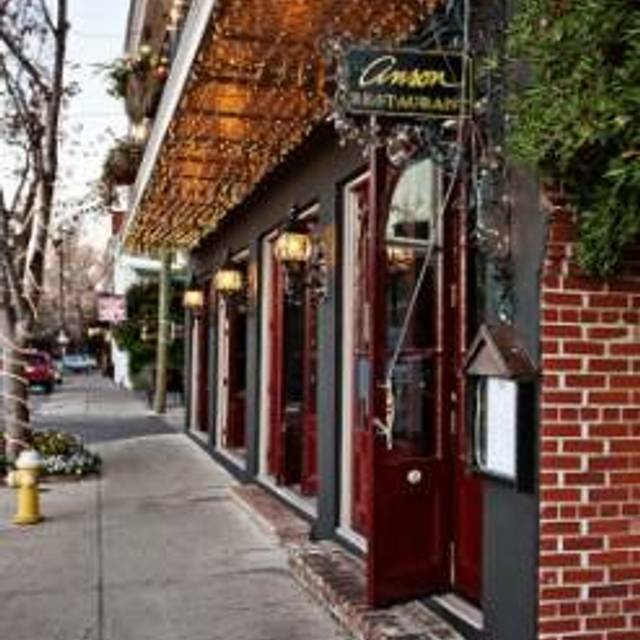 Superb food and service; among the best restaurants in Charleston, without question. 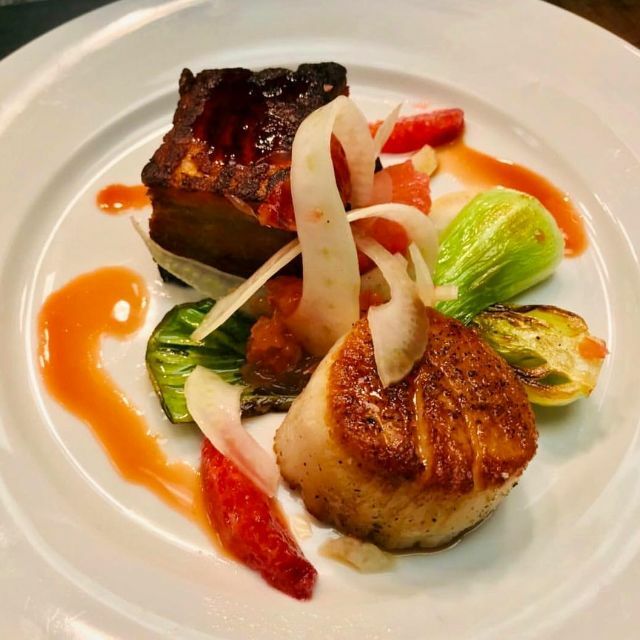 Outstanding service coupled with exceptionally crafted cuisine. First time back in 3 years. Was just as great an experience as last time. Service, food and ambiance are top drawer. Love this place! I went with my daughter and her friend after a day of shopping downtown. The ambience was beautiful and the food was amazing! Will definitely go back again! It was a lovely night, my husband and I really enjoyed eating here. Food was wonderful. not want to be upstairs because of the stairs but that wasn't a problem for us. The room is lovely with tables placed away from other patrons. Service was just the best...well trained staff and managers. SO GOOD! We had a group of 7 that we last-minute changed to from 5 and it was no problem at all, the restaurant was very accommodating. Our service was wonderful and the food was delicious. I would absolutely eat here again. And again! Everything we had was delicious. I got the crispy flounder which was perfectly cooked and tasted delicious! My husband got the porkchop and he loved it. We each got a dessert which was fabulous. I got the banana cream pie and my husband got the creme brulee. Both were absolutely delicious! We love Anson's! Our son and his family were visiting from up north. 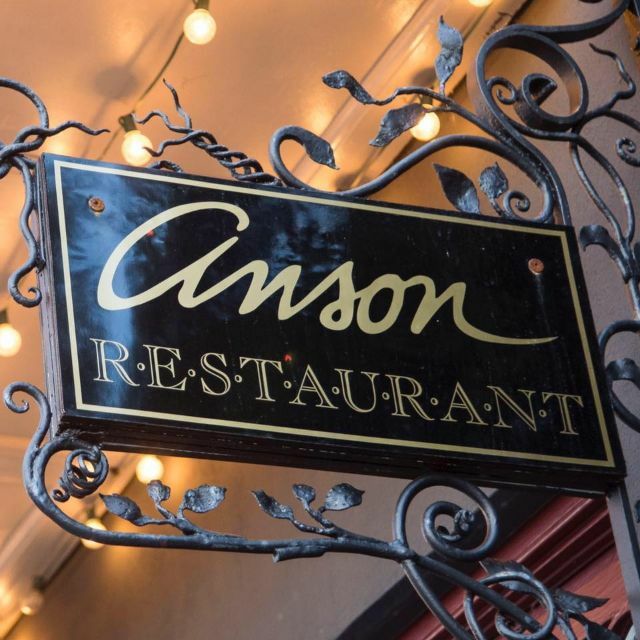 We chose Anson, one of our favorite restaurants in Charleston. The service was excellent and everyone enjoyed their meal. This was our first time and we will definitely be returning. Food was fabulous, atmosphere very nice and service excellent! Seated at 7:15 with 6 colleagues in a very noisy downstairs by the bar. Drinks and salads took till 8:00 to arrive. Placed dinner orders at 8:00 and waited till 9:00 to get them. Waiter had too many tables and did not seem concerned about us until we wanted just to pay the bill and leave without coffee and desert. Food was only average. Will not be back soon. Loud, food was expensive and just OK. Service was slow and not as hospitable as you might expect. My husband sat in a wet seat, we soon discovered the reason, the air conditioning in the roof and was leaking through the ceiling vent where he was seated. We asked to be moved to a different location. 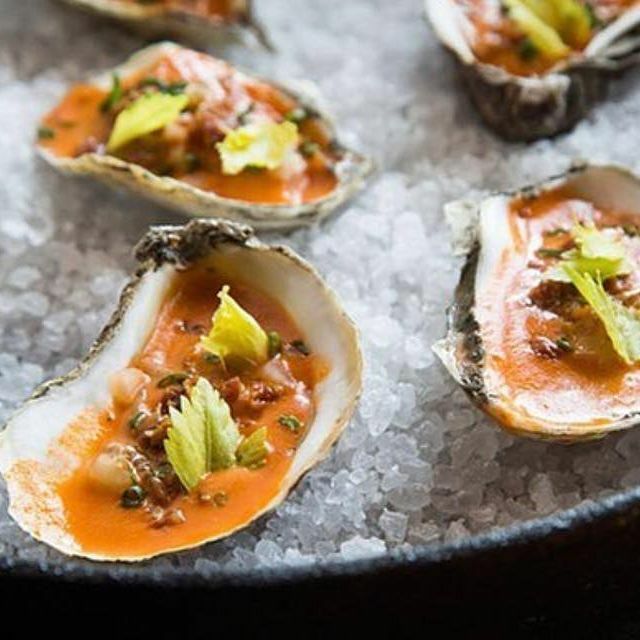 We enjoyed the oysters as an appetizer, my husband enjoyed the beef fillet, I had the duck which was tasty, but the collard greens that came with the entree were too salty. For some reason, people seem to overlook this wonderful restaurant. I eat here every time I am in town and often take friends and family. It has never disappointed. 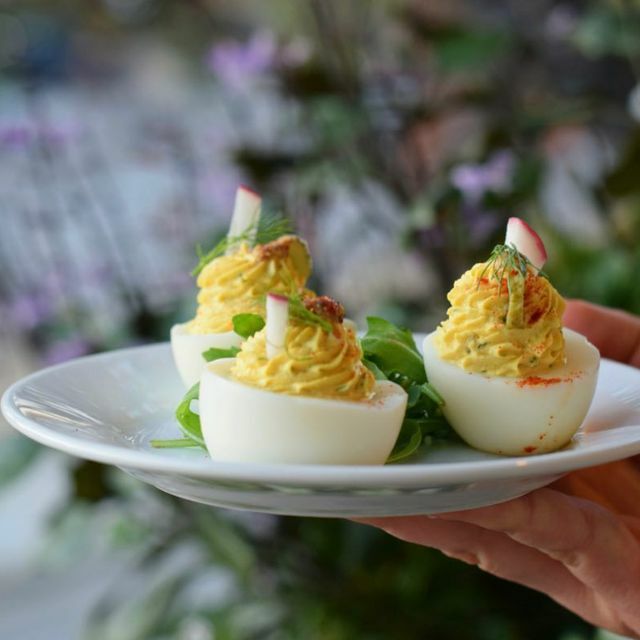 Excellent food, service and ambiance. Everything at Anson was amazing. We started with the Fried Green Tomatoes, which were excellent. We ordered the crispy flouder and the catch of the day, both of which we would order again. Excellent meal, beautiful dining room upstairs, and warm service. Not sure if one would have a similarly elegant experience downstairs as the vibe is different. A fantastic experience from start to finish. Even better than I remembered it. Softshell crab special was out of this world and the crispy flounder will always be one of my favorite restaurant dishes in all of Charleston. 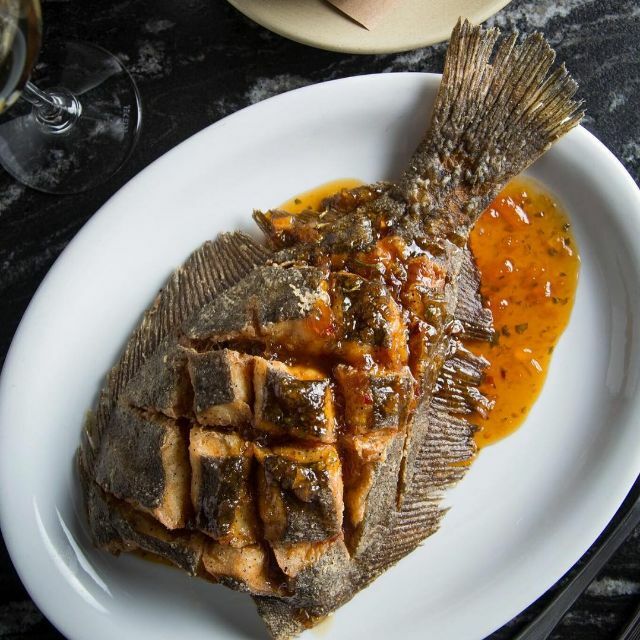 We had the crispy flounder, which was outstanding. Everything was very good. We tried 3 desserts and had trouble deciding which was best. All were great. And, Barrett, our waiter, was friendly, answered all our questions, and was very efficient. It was an overall excellent experience. Five of us met for dinner and all were disappointed with our meals. Restaurant was empty so noise was not an issue but service was very slow. Too many great places in town- will not be back. 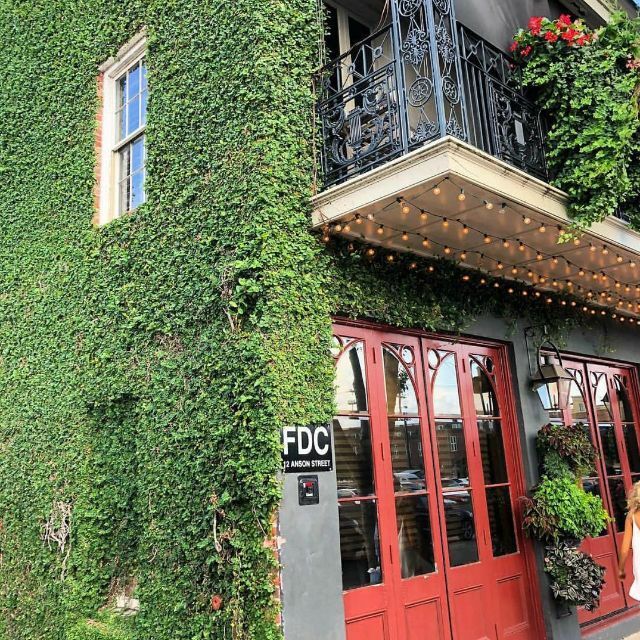 This is one of the best places to dine in Charleston. I have brought many out of town guests here and they say its, absolutely amazing! OMG, that porkchop! Great service! We went here on our first evening in Charleston. The location close to the market was ideal for walking and people watching. The staff was very friendly and professional and helped us make great choices for food (although I doubt there’s a bad choice!). We can’t wait to go back! Our server was attentive, humorous, and the ultimate professional. Everyone in my party enjoyed their entrees. Thanks for a wonderful evening. 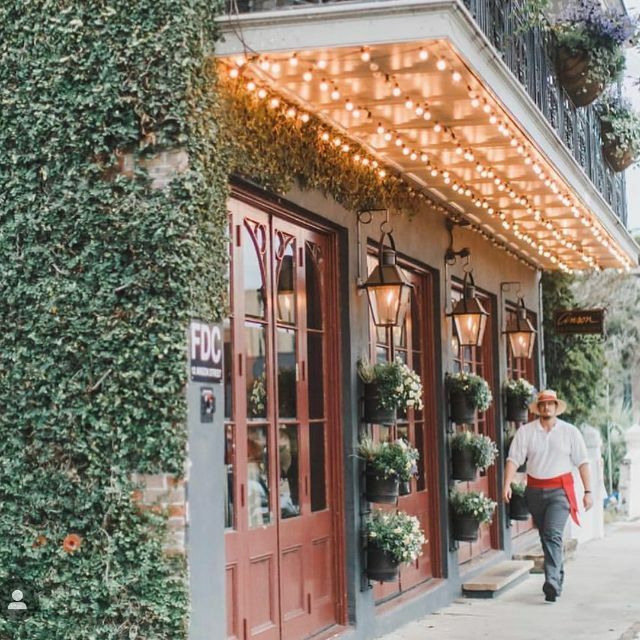 My favorite restaurant I had found throughout our stay in Charleston. Food was excellent, staff was great. Wouldn't have changed a thing about our night out at the Anson. Thank you graciously! Great food and excellent service. Is family friendly. Nicely located near the Market. Pros: The food was fantastic! My husband had ordered the market fish / ate every bite. My sister ordered the crispy flounder and said the crispiness was perfect, noting that so far the best seafood she's had has been in Charleston. She is a pilot and a foodie, and thus I trust her insight. I am vegan and with just a bit of notice, the chefs created a vegan plate for me. I really appreciate these types of accomodations, as I understand it is not an offer on the menu and the cooks have to go out of there way / off plan to do so. Again, very appreciative and it was delicious! My husband commented that this will be one of the places we take family to when visiting. Cons: We sat upstairs in the back next to a fireplace that had a heavy cold draft... or there was a ghost just lerking around our table, not sure. The music playing was pop... Katy Perry, etc. There had been a bachelorette party close to our section, so unclear if was to please a certain age group, but our table was confused on the music selction, given the nice wine, nice food, nice dim lighting, etc. We adored Anson and are so happy that we stumbled upon it. We chose it because of its availability and high reviews. We weren't disappointed! First of all, the ambiance was amazing. We were seated upstairs, and the lighting was cozy, the noise level was perfect and the general atmosphere was lovely. Into this atmosphere came really delicious food. 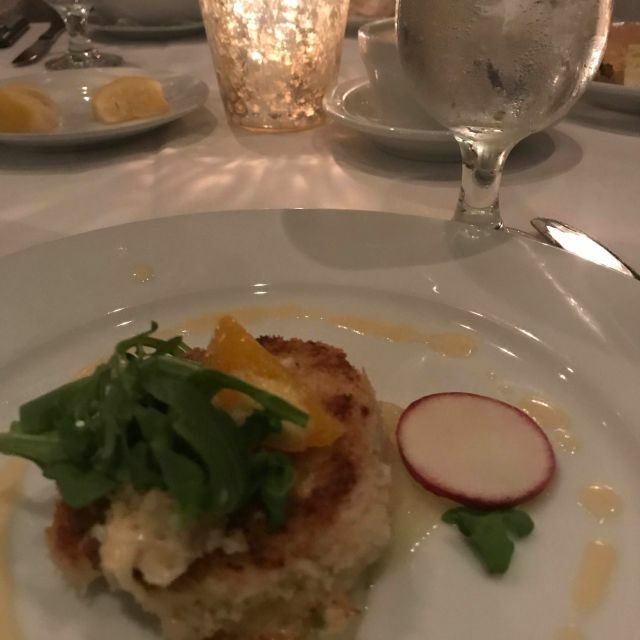 We loved everything we ate, from the crab cake to the perfect creme brulee. We enjoyed our first visit to Anson. The fried green tomatoes were delicious as was the whole fish, really good. Service was attentive without being intrusive and the place has a nice vibe. Our food was delicious - shrimp angel hair pasta for each of us, with creme brulee and key lime pie for dessert. It was the amazing welcome and service, though, that really set Anson apart from the rest. We had no fewer than six people greet us, check in during our meal and wish us well upon leaving. There is nothing pretentious about Anson, but the experience felt very special. Even though we were dressed fairly casually after a full day enjoying Charleston, we were assured we were as welcome as others who were in dresses and slacks . We will be back! Food was exceptional (the crispy flounder is uniquely prepared and delicious, a must get). Service likewise was very good. Frequent visitor. As expected food and service were GREAT!